Do you have a last minute event or planning for a big night out in the city that requires you to look your best? At Seka's Beauty Case @101 Darley Beauty Collective, we offer the most convenient hair cuts for women and express blow dry service right at your doorstep in our handy hair salon location in Newport. We the most fantastic and talented team of hair stylists in the Northern Beaches that can style your hair beautifully according to your fancies. At Seka's Beauty Case @101 Darley Beauty Collective, we only employ the most experienced and creative hair stylists because we understand that the true value of a hair salon lies in the quality of the staff and the personal attention we provide to each customer. Our growing number of repeat customers is a reflection of the excellent express blow dry and hair cuts for women that we offer. No customer leaves the door unsatisfied with their new look. And the best part is that you don’t even need to make an appointment...you just have to walk in to get the arguably the best express blow dry in Northern Beaches. As part of our excellent service, you can be assured that we use only the finest hair styling products and equipment that will bring out the shine in your hair and not damage it. 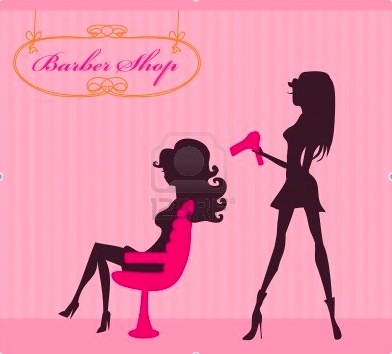 So the next time you need to look your best in a hurry, come into Seka's Beauty Case @101 Darley Beauty Collective, which is your one stop hair salon for express blow dry and haircuts for women in Northern Beaches. We are open every Sunday and remain open till late every night for your convenience. Women & Men’s Express Blow Dry, Men and Women’s Hair Cuts and Up Style Bar now is right at your doorstep @ Seka's Beauty Case @101 Darley Beauty Collective in Newport. Get ready to step out in style by coming into Seka's Beauty Case @101 Darley Beauty Collective, the one stop Beauty Salon, let our staff make you up from head to toe. The walk in, walk out beauty salon offering the best range of beauty & grooming treatments the all in one beauty salon now on the Northern Beaches in Newport is open til late every night.